Pat Priest, Peter Kelly, Jimmy Kelly, George Hesnan, Joe Geoghegan, Michael Hesnan, Pat Farrell, Joe Davis, Jack Gerrard, Mick Browne, Mick Kelly, Nicholas Vaughan, Tom Burke, Kit Quinn, Pat Quinn, Thomas Flynn, John Ledwith, Thomas Masterson. This was followed by the Club's first Junior Championship in 1930. Because there was so much interest in hurling in the village, it was in 1935 that two teams were formed. The village team was called St Dympna, after Kildalkey's adopted patron Saint, and the other team was called the Rovers and was situated in Baskinagh. Both teams met in the divisional final of 1937 with the Rovers winning out. They went on to win the Junior Championship that year. St Dympna's and the Rovers merged in 1939 to become Kildalkey Hurling Club. The club went on to win the Junior Championship again in 1943, 1946, and 1950 with a second Minor Championship in 1948. The club was promoted to Senior level for the 1951 season and reached their first Senior final that year. 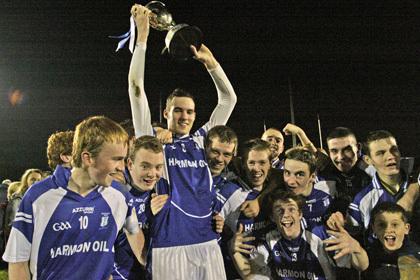 Although Kilmessan won the game after fielding very late, the title was awarded to Kildalkey. 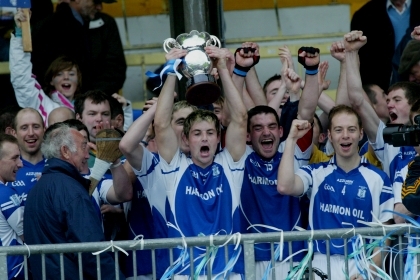 This was the clubs first and only Senior title until 2009 when they succeeded in keeping the title for an historic 3-in-a-row 2009-2011. The Clubs present ground, known as Fr. Plunkett Park, was purchased in 1951 for the sum of £205 and consists of some 6 acres purchased from the Land Commission. The official opening took place on Sunday 15th May, 1960 where Meath and Kildare played a Senior Football challenge match. The park was named Father Plunkett Memorial Park in memory of the curate who was chairman of the fund raising committee. In 1961 Kildalkey Hurling Club won the u17 league. In 1969 the club won the Hurling League and Junior Championship. In 1971 success was obtained by winning the Intermediate Hurling Championship which regained the club their Senior status which they still retain to the present day. 1980 saw Kildalkey reach the Senior Hurling final only to lose out to Killyon. Club renovation works were carried out in 1985 at a cost of £14,000. Kildalkey secured the 1987 Division 2 Hurling final and in 1988 reached another Senior final only to lose out again this time to Trim by the slimist of margins 2-05 to 2-06. 1990 saw another Senior Hurling final loss to Kilmessan. 1994 saw success in the Junior Hurling 2 championship. Another Senior Hurling final appearance in 2005 saw yet another loss against Killyon. Kildalkey Hurling Club achieved a number of notable underage successes since the 80's/90's which paved the way for Senior success. The arrival of manager Pat O'Halloran in 2007 has helped spur on the Club's successes since then. Formerly manager with Keady, he guided them to Armagh County title and Ulster provincial success in that year. Since 2008 the club has gone from strength to strength with another Junior Hurling 2 Championship victory. Also in 2008, another Senior Hurling Championship final appearance was achieved with Kildalkey loosing out to Kilmessan after a reply. Gary McNally; Conor Dunne, Stephen Forde, Daire Lahart; Maurice Keogh, Enda Keogh, Mairtin Doran (C); Sean Corrigan (0-1), Tony Fox (0-2); Padraig Keogh, Noel Kirby (0-8, six frees, one '65'), Padraig Geoghegan (0-3); Derek Doran (0-3), Nick Fitzgerald (1-1), Sean Heavey (0-1). Subs - Ger Geoghegan for Keogh (37m); Dan Fagan for Fitzgerald (58m); Michael Potterton for Heavey (59m). Needless to say the Village went mad. 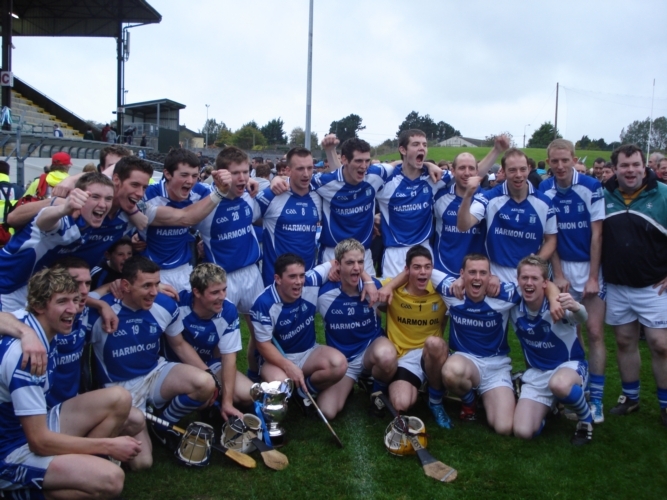 2010 also saw the club retain their Senior crown with a third successive final appearance and a victory over arch rivals Kilmessan by 1-21 (24) to 2-13 (19). There was now no doubting Kildalkey's pedigree as kingpins of hurling in Meath with back-to-back successes. 2011 heralded the finest year in the history of the Club. This was tinged with sadness through the passing of Brendan Davis who was a club stalwart for many years. 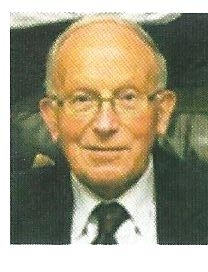 Brendan served as club Secretary from 1952-1967 and for two terms as chairman from 1972-75 and 1988-91. C. Flynn; C. Dunne, S. Forde, E. Potterton; M. Keogh, E. Keogh, M. Doran (C); S. Corrigan, T. Fox; P. Keogh, N. Kirby, P. Geoghegan; P. Conneely, S. Heavey, D. Doran. Subs - G. Kelly for Conneely (50m), F. McMahon for Fox (51m), F. Doran for P. Keogh (60m), D. Lahart for Corrigan (60m), D. Harmon for D. Doran (60m). The following Saturday the 15th October saw the club clinch the Hurling Div 1 Final when they beat Rathmolyon by 0-17 to 1-08. A few weeks later, on Sunday Nov. 13th the U21 team secured the U-21B Hurling Championship with captain Edward Kirby lifting the cup. They beat Moylagh/Kilskyre by 2-17 (23) to 3-09 (18). 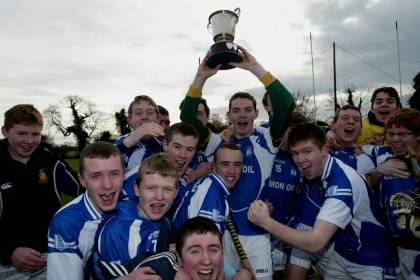 Kildalkey closed 2011 by winning the Minor-B Hurling title on Saturday 10th Dec. with a win over Dunderry by 4-10 to 2-03. Captain David Harmon lifted the trophy. Best of luck for 2012 to everyone associated with the Club.